The Almond tree is a native of the warmer parts of western Asia and of North Africa, but it has been extensively distributed over the warm temperate regions of the World. Sicily and Southern Italy are the chief Almond-producing countries; Spain, Portugal, the South of France, the Balearic Islands and Morocco also export considerable quantities. Classified as a nut, almonds are actually the seed of the fruit of the almond tree. They are one of the most nutritious of all nuts. They are low in saturated fat, high in monosaturated fat (“good” fat) and contain many other protective nutrients. Listed below are some on the most awesome benefits you can obtain from eating almonds. One ounce of almonds contains 12 percent of your daily allowance of protein and since they are a plant based food, they contain absolutely no cholesterol. You’ll also get 35 percent of your daily allowance of vitamin E.
Almonds are rich in compounds called phytochemicals, which may help protect against cardiovascular disease and even cancer. Almonds are also loaded with minerals like magnesium, phosphorus and zinc, which are vital for overall health and well-being. Almonds are a great source of healthy fiber. Eating twelve almonds per day can provide you with the recommended daily allowance of essential fatty acids. 20-25 almonds contain as much calcium as ¼ cup of milk. Almonds help prevent osteoporosis and regulate blood pressure. They also provide protection against diabetes and cardiovascular disease. Almonds are a great source of folic acid (vitamin B9), which is especially important for women who are pregnant. In Ayurveda, an ancient system of health care that is native to the Indian subcontinent, almonds are considered a nutrient for the brain and nervous system. It is said to induce high intellectual level and longevity. Almonds can be ground down into flour. This flour is gluten-free and therefore a popular ingredient in place of wheat flour. It is vitally important to soak nuts and seeds prior to eating them. 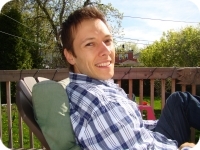 The main reason is because they contain enzyme inhibitors. The purpose of these enzyme inhibitors is to protect the nut or seed until it has what it needs for growing. By soaking nuts and seeds, you release these toxic enzyme inhibitors and increase the life and vitality contained within them. Soaking your nuts and seeds will neutralize the enzyme inhibitors, increase the amount of vitamins your body can absorb, ability to digest improves, and phytic acid which inhibits the absorption of vital minerals is reduced. Ideally, almonds should be soaked 8-12 hours. As a follow up to our previous page on the negative health effects of dairy, we thought it would be fitting to provide you with an alternative to milk. 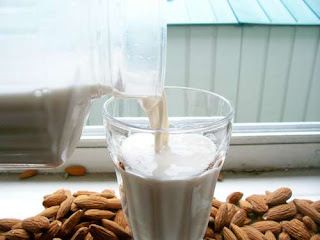 In the video below, you will learn a very simple way to make almond milk. I tried the almond milk for the first time today. I did not add any honey, vanilla or cinnamon though. I think it was a little to watery tasting. I let my husband try it and he said it tasted like watered down milk(cows milk). lol He didn't even know I made it from almonds and was surprised I made this myself! Do you think it would work with more almonds added to it? I'm not adding the other stuff because I plan on using it to bake with. ;) I would also like to know more about how to make the crackers with the left over almond pieces. That sounds like a really good snack for the kids. We are so happy that you tried the recipe. Thanks for sharing your experience. Adding more almonds will thicken your milk. We suggest that you experiment to find your preferred consistency. Here is an awesome recipe for vegan almond pulp crackers. Enjoy! Thanks! I'll try that out today. I need to go get some flax... I have seen it in a few recipes I've wanted to try! Just to let you know... I tried the crackers a while back. Out of curiosity do you use dried thyme or fresh? I used dried and thought the taste was to strong. lol But other than that I liked them a lot! I plan on trying them again soon. Thanks again for the recipe! Hi Melissa! That is fantastic news! Thanks for sharing your story with us! We prefer the fresh thyme as it is less concentrated, and it just tastes better. We are certainly glad you liked it! With regard to the left overs form the coconut milk, you really shouldn't have any remnants. Everything should blend up nicely when you prepare the coconut milk. Where can you get that bag strainer you guys have? Also, do you just let the leftover pulp to dry so you can use it? or do you actually dehydrate it with a machine? Thank you for your comment Aldana! We totally understand your sentiments - fresh is always better! 1.you can keep the milk in the fridge up to 4-5 days. 3. Dehydrating is great option for making raw crackers or raw bread, if you are not raw however, you can cook the pulp on a cooking sheet at a higher temperature for a shorter period of time to yield the desired crackers. I hope this help! Your more than welcome! not about the recipe, but about soaking almonds. I don't know about you, but almonds are a snack food that i eat when I have a bit of the munchies for something solid. so how do you deal with your soaking recommendation? do you keep your almonds in a jar covered with water to have them ready for snacking whenever? or do you only eat them as planned medicine. how boring that would be for a delicious snack.